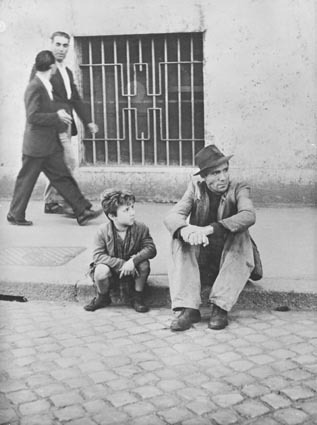 In Ladri di Biciclette, Vittorio De Sica uses the realistic style in his cast, scenery and themes to depict the real-life struggle of his characters. 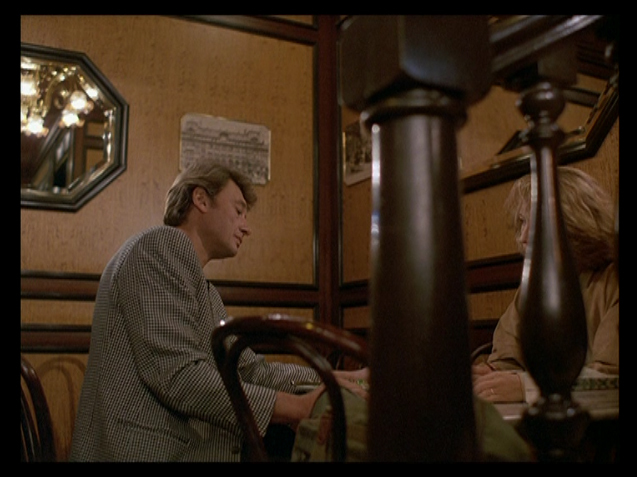 De Sica highlights the disparity of class, in the pizzeria scene, using visual cues. Unlike the more wealthy diners, Antonio and Bruno do not have a table cloth or cutlery at their table emphasising their lack of materialistic possessions and position in poverty. The waiter assumes that they would want half a cup of wine instead of a whole cup, further reinforcing the low class system they are defined and restricted by. 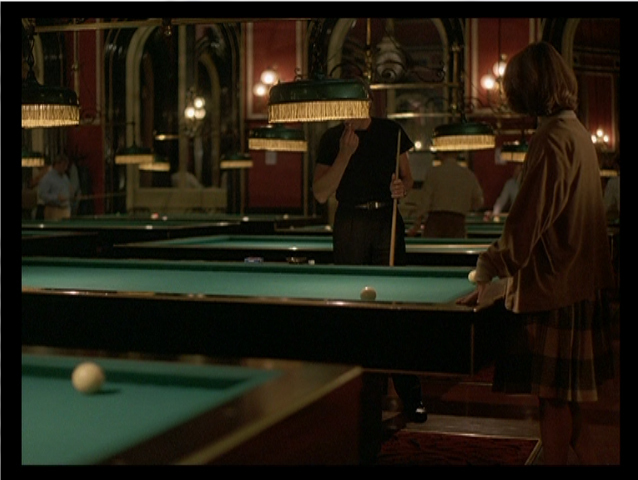 By cutting between shots, Bruno is directly juxtaposed with another young boy who is clearly of a higher class. The camera moves from Bruno as central on the screen, to the other young boy as central on screen. This presents a direct comparison. However, it is their backgrounds that differ largely and identify them undeniably in opposing class systems. Bruno is situated at a blank wooden table with little surrounding him. The other boy, however, is surrounded by food and well dressed people. There are clear differences in clothing, food, social surrounding, possessions and general quality of life. This visual contrast shows, on a realistic level, how class disparity is evident in all areas of life; on a social, political and domestic level. De Sica uses the changing relationship between Antonio and his son to parallel the changes in Italy’s political structure at that time. The “disintegration of trust”2 between Antonio and Bruno parallels the breakdown of political structure. At the beginning of the film, paternal love is evident, but, as the film develops, Antonio takes his aggression and frustration out on his son. Visually, also, the two characters become more distanced on screen with wide street shots emphasising the space between them. Their inability to break out of the class system also emphasises Antonio’s desperation and struggle to survive. As his desperation deepens and his hope wanes, Antonio is forced further and further from civilization and resorts to violence and theft of his own. In this way the use of a bicycle, as opposed to another vehicle, is highly symbolic in representing the cyclic pattern of events. The representation of institutions, in Ladri di Biciclette, is significant in showing the changing social conditions and lack of stability and support in Italy at that time. Antonio turns to many different institutions – the church, the police etc. – in an attempt to find his bicycle, his attempts, however, are in vain. This merely emphasises further the failure of social institutions and reinforces disparity in the class system. 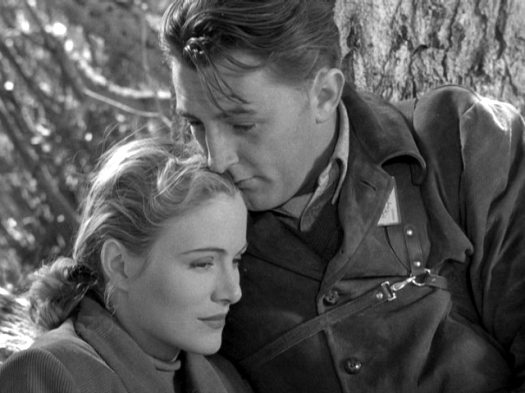 Godfrey Cheshire states that “neorealism served as a chastening, disillusioning rejection of Fascism and fantasy”3, however, Ladri di Biciclette serves as much more than that. It does signify the rejection of fascism and fantasy, but, through the eyes of its sufferers. As a result, the force of the films message is found in its realism – a message of desperation and, thus, essentiality for change and cultural renewal.